Use the 30% voucher and this discount code at checkout. Make sure it's compatible with your electric toothbrush. Well done to Pete for finding this deal stack. Why does it say 6 and have a photo of 8 heads?!?! Think he means six lots. Thanks for this. Managed to get it to stack without any problems. Brilliant, thanks, been looking for some new toothbrush heads recently. 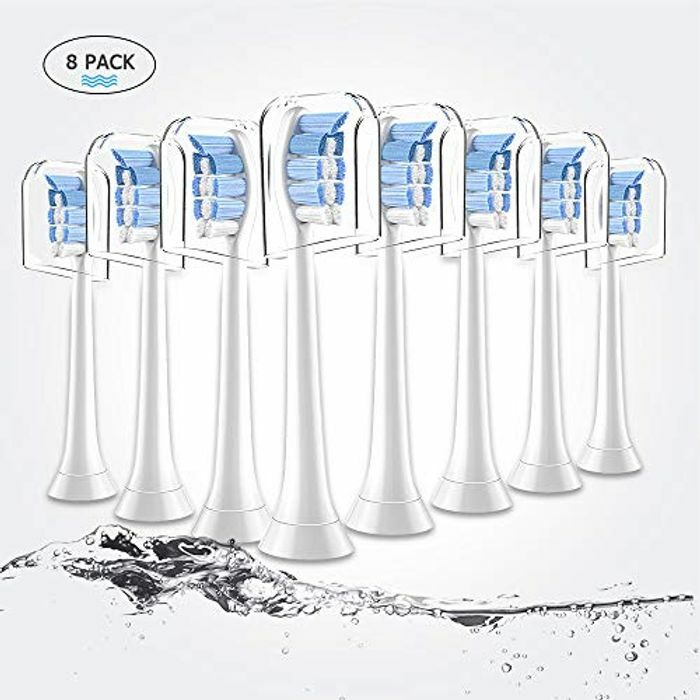 Which electric toothbrush is compatible with these? Any cheap? "Philips Sonicare - Fits DiamondClean, ProtectiveClean, EasyClean, FlexCare, HealthyWhite"
came today. They seem just as good as the Philips replacements for my soniCare.